FC Barcelona took a 3-1 win in Johannesburg in the friendly against local side Mamelodi Sundowns in the FNB Stadium. The game formed part of the celebrations to mark 100 years since the birth of Nelson Mandela and was the penultimate of the campaign for the blaugranes ahead of their LaLiga clash on Sunday against Real Sociedad. 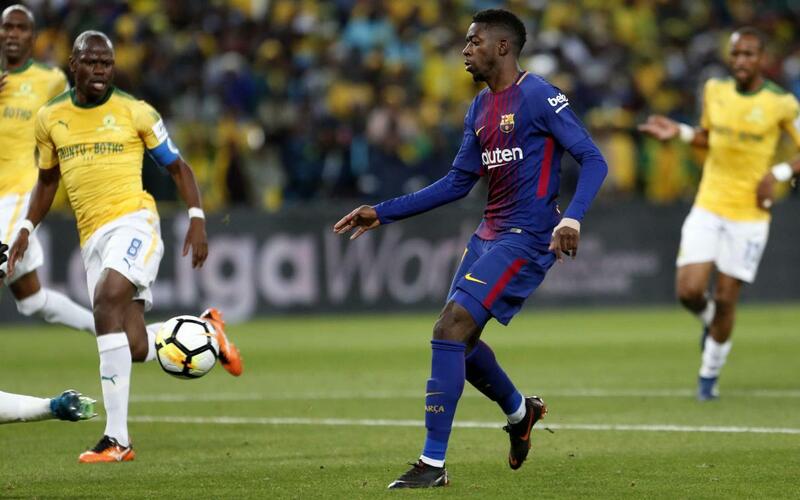 Dembéle grabbed the first early on in the encounter with Luis Suárez scoring the second after a great team move. André Gomes added a third in the second half before Vilakazi scored a consolation effort for the home side. Catch all the goals and more in our highlights video!